If you are looking to purchase some essential oils or need a small gift, check out this deal from Amazon! 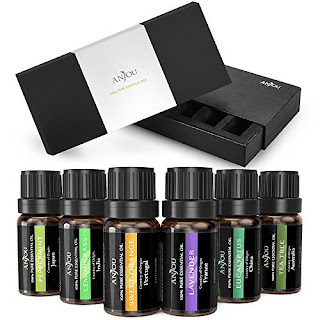 You can get the Anjou Aromatherapy Oils Basic Sampler Gift Set for just $10.99 after you enter the promo code P7H6WZZI at checkout! This set comes with Lavender, Lemongrass, Peppermint, Eucalyptus, Tea Tree, and Sweet Orange Essential Oils!